Brrr…it’s cold outside, but not as cold as if we were in a windy blizzard! Thankfully desert life has me not having to worry about being stuck in one like all the scary times I experienced growing up in Wisconsin. So how do you teach your preschooler what a blizzard is when there is almost always no snow where you live? You make a blizzard-in-a-bag! My kind of blizzard…. he, he. Stick around until the end of the post where you will find more weather-themed activities from the creative preschool collaborators including charts, art projects and a printable game! 1. Use a permanent marker to draw a snowman/snow scene on the front of the bag. 2. Use white (and blue if you’d like) paper to make the snow. Cut into small pieces. This helps preschoolers practice fine motor skills as well as using a scissors. If making with a child who is just starting to use scissors, cut long strips for them to hold and cut square-ish shapes from. 3. Place the ‘snow’ inside the bag . 4. Insert a straw and press the bag closed. Now you are ready to make it snow! Blow into the straw and watch it magically turn into a blizzard-in-a-bag. Little Sister absolutely LOVES this activity and it has kept her entertained on many different days since making it. * TIPS: They used cut straw pieces for their projects which kept falling and was frustrating for her. I recommend taping it to the bag or using a straw that bends. 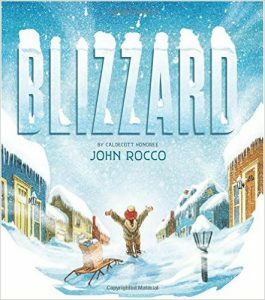 Blizzard is based on John Rocco’s childhood experience during the now infamous Blizzard of 1978, which brought fifty-three inches of snow to his town in Rhode Island. 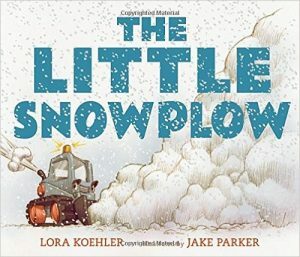 Told with a brief text and dynamic illustrations, the book opens with a boy’s excitement upon seeing the first snowflake fall outside his classroom window. It ends with the neighborhood’s immense relief upon seeing the first snowplow break through on their street. In between the boy watches his familiar landscape transform into something alien, and readers watch him transform into a hero who puts the needs of others first. On the Mighty Mountain Road Crew, the trucks come in one size: BIG. That is, until the little snowplow joins the crew. None of the other trucks think that the little snowplow can handle the big storms, but he knows that he can do it—and just to be sure, he trains hard, pushing loads of gravel, pulling blocks of concrete, and doing plow lifts to get ready. But when a blizzard arrives, will the little snowplow’s training be enough to clear the streets and handle unexpected trouble? Ready for more weather-themed activities? This week’s creative preschool learning theme is WEATHER. 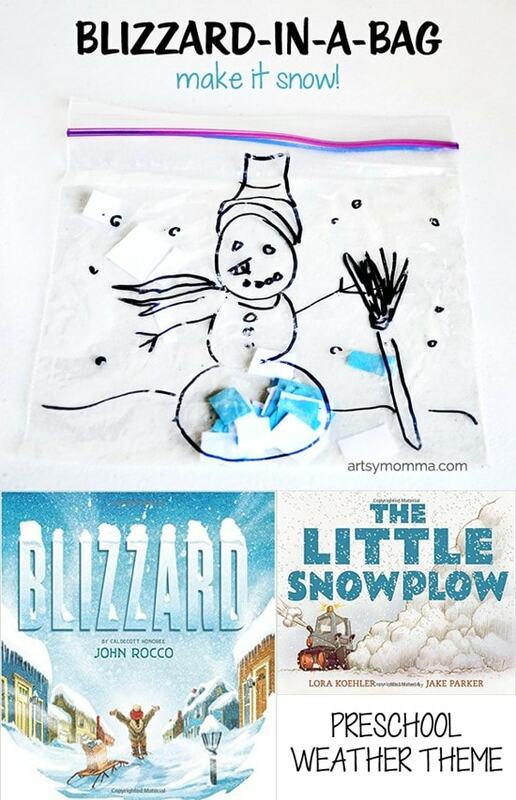 See how our preschool friends tackled the weather with fun crafts, activities, and printables! 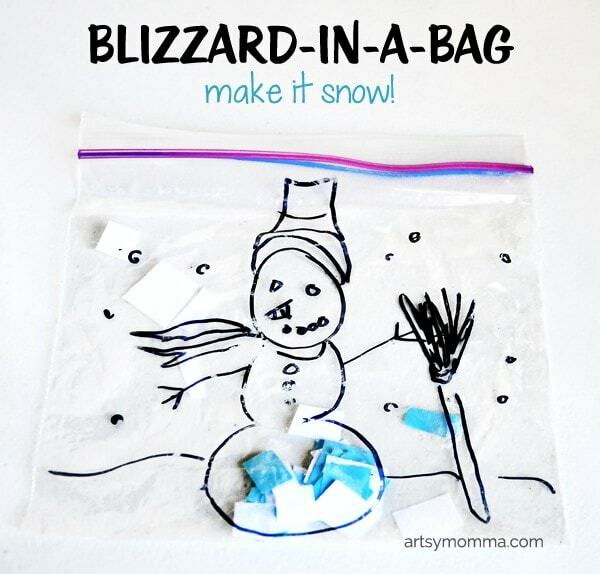 Make it snow in this blizzard-in-a-bag craft! « Alphabet Hunt – Fun way to learn beginning sounds! What a fun idea, I’m sure my kids will love it! Love this fun and easy craft idea! THIS SOUNDED SO EASY AND FUN SINCE WE JUST HAD OUR FIRST SNOW. Oh no! Sorry to hear. Maybe try tissue paper instead? I’m doing this for my preschool story time activity next week. Love it!